Tutu X to PSP Video Converteris a professional and smart PSP movie converter, it can convert almost all popular video such as MOV, MPEG, WMV, 3GP, AVI to PSP video, PSP MP4 movie. This PSP Video Converter is the best video and audio converter for PSP, which can convert all video formats. Such as AVI, MPEG, H.264, 3GP, WMV, MP4, DivX, MOV, ASF to PSP video. It support batch conversion, you can enactment every PSP video converting task flexibly. 1. 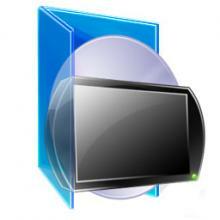 Convert PSP video from popular video formats, It can supports almost all popular video file format(AVI, WMV, MOV). 2. Video Screen Crop/Pan, It can provide a perfect conversion scheme to convert between different video aspect such as 16:9 and 4:3 video, whatever WMV to PSP, or AVI to PSP movie. 3. Excellent output quality by parameters optimized, you can use the default settings which were optimized to get excellent output quality of PSP video, or you can set the advanced settings by yourself like video size, bit rate, frame rate, etc. 4. View the information of the original files, you can view the detail information about video codec, video bit rate, frame rate, audio codec, audio bit rate, sample rate etc. 5. Support preview, you can play video files to be converted in the list for the purpose of preview. 6. Batch conversion, you can enactment every PSP video converting task flexibly, and the task can be saved and load. Qweas is providing links to Tutu X to PSP Video Converter 3.1.9.1203 as a courtesy, and makes no representations regarding Tutu X to PSP Video Converter or any other applications or any information related thereto. Any questions, complaints or claims regarding this application Tutu X to PSP Video Converter 3.1.9.1203 must be directed to the appropriate software vendor. You may click the publisher link of Tutu X to PSP Video Converter on the top of this page to get more details about the vendor.